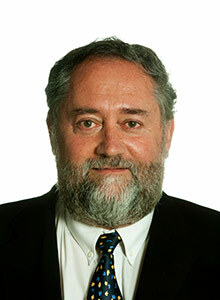 Professor Dragomir is the Leader of Applied Mathematics Group in CES and also Honorary Professor in School of Computational and Applied Mathematics, University of the Witwatersrand, Johannesburg, South Africa. He is the Chair of the international Research Group in Mathematical Inequalities and Applications (RGMIA) and the Editor in Chief of the Australian Journal of Mathematical Analysis and Applications (AJMAA). He is a member of the editorial boards of more than 30 international journals. As confirmed by the American Mathematical Society database he is the author and editor of 20 books and more than 800 publications. The work of Professor Dragomir is highly cited as shown by his Google Scholar, Academic Research and Research Gate profiles. Dragomir, S.S. (2014) Some Lipschitz type inequalities for complex functions, Appl. Math. and Comput. 230 (2014), 516–529. Dragomir, S. S. (2013) Generalizations of Furuta's inequality. Linear Multilinear Algebra 61 , no. 5, 617–626. Dragomir, S.S. (2013) Inequalities for the Numerical Radius of Linear Operators in Hilbert Spaces, Springer New York Heidelberg Dordrecht London. Dragomir, S.S. (2012) Operator Inequalities of the Jensen, Cebysev and Gruss Type, Springer New York Heidelberg Dordrecht London. Dragomir, S.S. (2012) Operator Inequalities of Ostrowski and Trapezoidal Type, Springer New York Heidelberg Dordrecht London. View Professor Dragomir's publications in Victoria University's Research Repository, and the full list from Google Scholar profile. Principal supervisor of PhD students Dr. Eder Kikianty (graduated 2011, won the VC pick award) and Dr. Alawiah Ibrahim (graduated 2014). Co-supervised Dr. Jayson A. Grant (graduated 2014). Principal supervisor of Dr. G. Hanna (2008, VC Medal) and Dr. F. Cirstea (2005, VC pick award), currently a senior lecturer in the School of Mathematics at Sydney University. Recipient of 9 local and international grants. Recently, the recipient of an internal research grants from the University of Witwatersrand in 2011, 2012 and 2013, totaling R750,000. Approximation and bounds in a variety of areas including risk/ruin problems for banking applications.